Laproscopy surgery is minimal involved surgical procedure that allows visualization and used to examine the internal organ of pelvis by laproscope. It is a narrow telescope like instrument which passes through the navel keyholes incision, and the recovery period is much shoter . 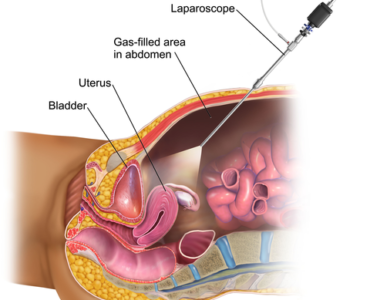 Laproscopy surgery is performed under general anaesthetic condition and patients usually gets discharged on same day. Whole procedure is recorded and CD is provided to the patient. Yes. Laparoscopy surgeryis very safe. Possible complications include injury to nearby organs, bleeding, or a problem related to the anesthesia. You should discuss any concerns with your doctor.